I am happy our little party here is growing. It is a job to rebuild it after taking a hiatus. Please remember to include my button in the sidebar or a link to my blog so more people will see you and the others linking up, thanks! The more the link party grows, the more people will see your post so share, share, share! 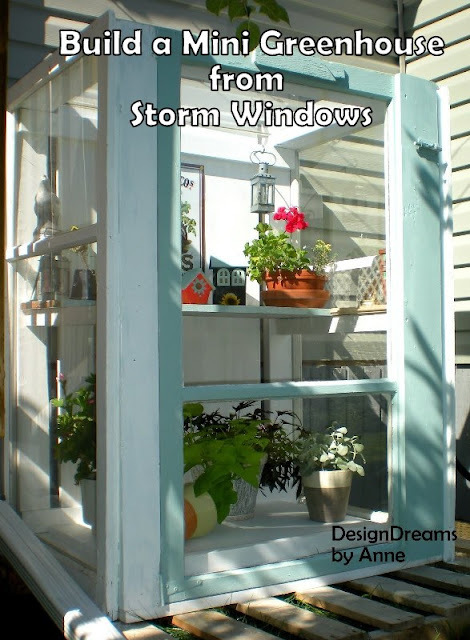 Some great, inexpensive ideas at Design Dreams by Anne like this window greenhouse. Grandparent's Plus shared a yummy cookie recipe. 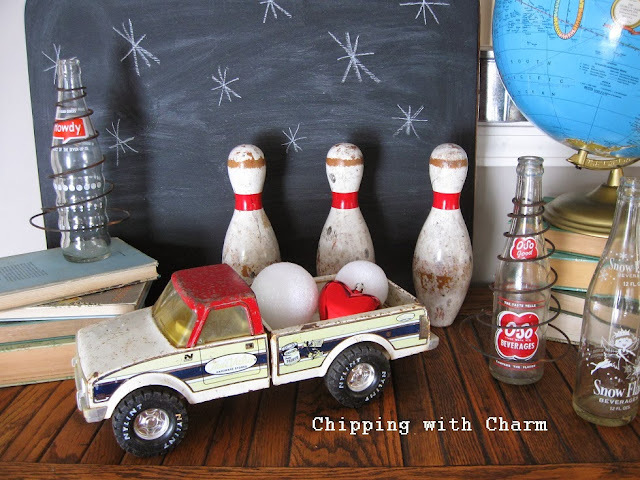 Chipping With Charm's creative, junky vignette. No, don't worry or jump to conclusions. This almost 48 year old "girl" is not pregnant and craving really strange things to eat. 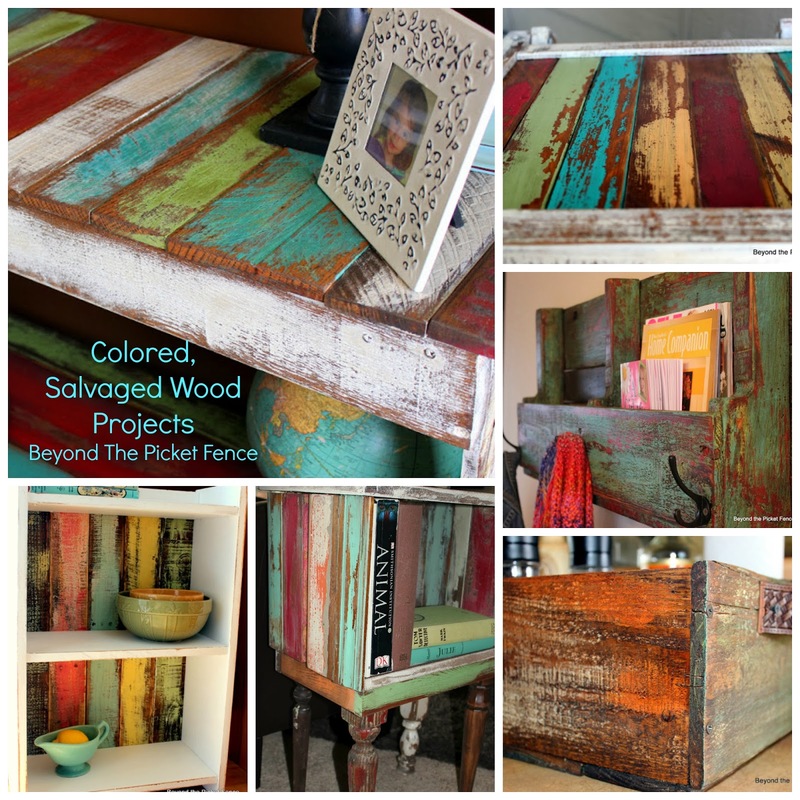 But, rather I am, as always at this time of year, craving color and enough warmth to be outside slapping paint on loads of scrap wood to create a multitude of projects. I do paint during the winter, usually inside at the kitchen counter. It is not the same as plastering the driveway with dozens and dozens of boards and truly, slapping paint on in layers--messy, messy layers. And then I use those boards to create whatever my heart desires and my brain can imagine. sigh. Spring, come soon! Oh, and my number one question about my paint technique--here is a link to that TUTORIAL! The original blog post is HERE. The magazine should be on newsstands in the next week or so. 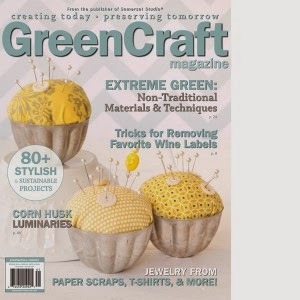 It is chock full of projects and ideas, all using recycled materials. I am grateful and humbled that they deemed my project worthy of publication. If you have played sports or have kids that play sports, you know the bench has a lot of meaning. You come off the bench if you get to play, you may get benched if you are in trouble, you may sit the bench. We are in the heart of basketball season and some games, because I am a people watcher, I spend as much time watching the bench as I do the game. I like watching the coach's interaction with the kids, the players interacting with each other, the hierarchy as to where kids sit on the bench. I watch and pray for those kids who may not get in, and pray for those who are playing and for the coaches. Here is a picture of my son's coach talking to the team at the bench recently. My kid is the tall one on the left. Now what does this have to do with today's post? Nothing really, a girl can be random right? In my defense, we have been to four games in a week and I am hoping to get a bench built tomorrow--there is a connection, right? Benches are not only important in games, but are great versatile pieces in the home--they work in entries, kitchen tables, at the end of a bed, on a front porch, as coffee tables. 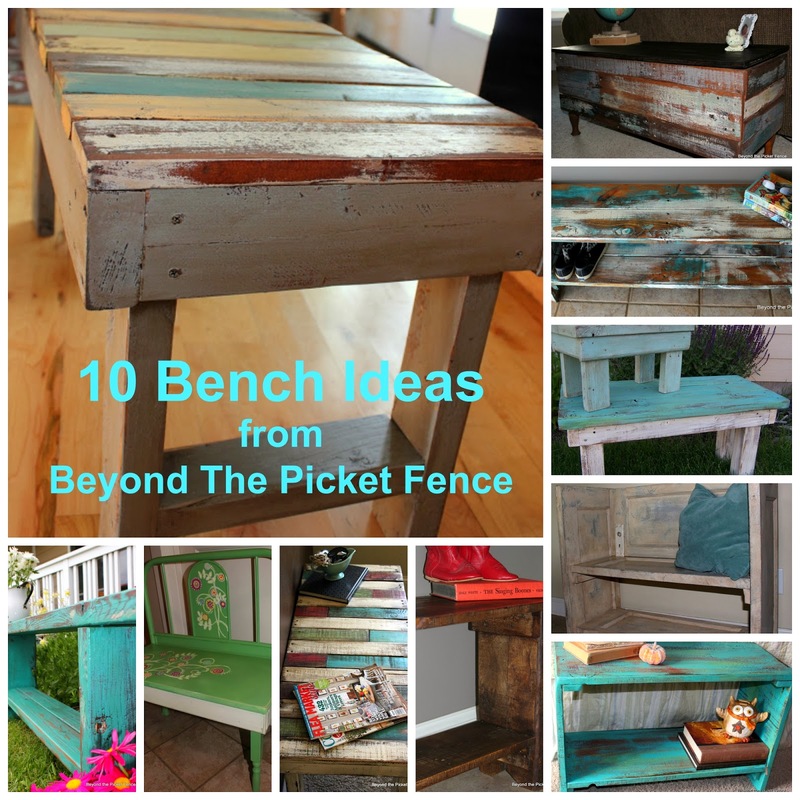 I am not sure what type of bench I will be making, I will show you when it comes to me ;), but until then here are are some past benches I have built if you need some bench inspiration. This bench is made completely from pallets and the post includes a tutorial. 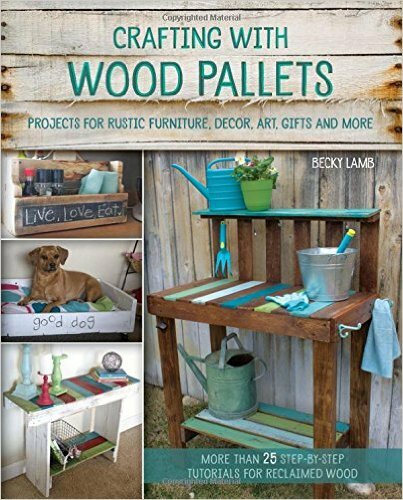 Here is another pallet bench with a tutorial. This bench was made from an old picnic table. A storage bench made from pallets and old bed legs. This tutorial is for stools, but I have used the same method to make benches. When you create a fun bench, being benched is definitely a good thing! Happy sitting! Have you ever written a love letter? Have you received one? When hubby and I were dating I worked in Glacier Park for the summer while he went back home. I wrote and better yet, received, many love letters that I now have tucked away in a box. Hubby says he knew he really loved me because he hates writing letters. These love letters are a little different. I have made "junky" love before, but this time I did each letter on a separate board. This makes it more versatile as it can be displayed in many different ways. You could also hang it with all of the letters or boards touching or in a random pattern too, but I had enough holes in my wall so I didn't show that ;). I sanded around the edges and used a mixture of dark and clear wax (Annie Sloan) to darken them a bit. The L is a door plate and a deadbolt lock slide. The O is a heart pan. I tried to rust it with salt, vinegar, and hydrogen peroxide, but it wouldn't rust. So I used the paint rust method I shared HERE. 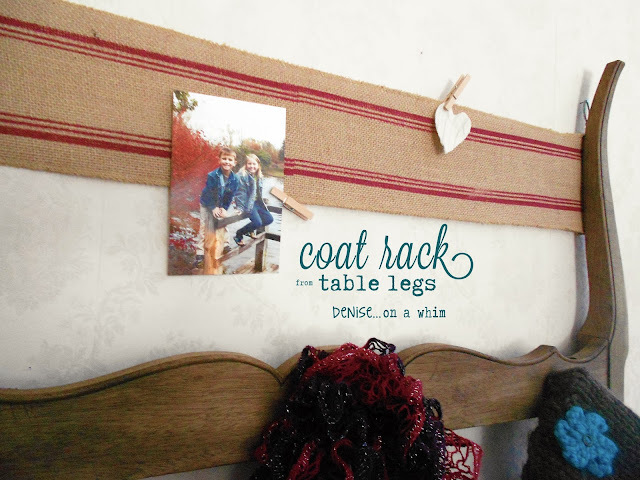 It got a little too "rusty" so I added some Old Ochre Annie Sloan Chalkpaint over the top. The V is made from two knives--these were a bear to drill through, broke three drill bits in the process. I glued the tops of the knives, after getting one screw through the bottom. The E is a cut spindle I found in the garage and 3 clothespins. I have to admit, although I still love a sweet card my husband, these LOVE letters are more my style these days. I forgot that hosting a weekly link party makes you realize how quickly the week goes by. 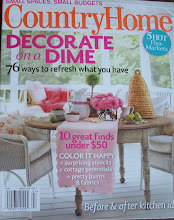 So here we are again--ready to share some wonderful, inexpensive, Under $100 Ideas! I was playing around a bit with the start time of the party and have settled on starting it on Wednesdays at 6:00 MST. You are invited every week, hope to see you weekly and feel free to invite your friends. Creative Ambitions shared a different look for a winter mantel. Organized Clutter shows you how to turn outdated thrift store hearts into ones that look like they are made from rustic, reclaimed wood. Oma Socks shared a great dresser redo--love the vertical handles. Are you mad for plaid or is plaid bad? Sorry, former preschool teacher, we like to rhyme. I shared earlier in the month that one of the trends I was noticing (in both clothing and home decor) is plaid. I had a few people say that is one trend they couldn't jump into. Remember, when adding a trend, a touch will do. You don't want to invest big money in a trend that will be old news next year. Purchasing new plaid drapery may be going a tad overboard. Incorporating a trend with pillows and other accessories is a perfect way to try it out and add some fun touches, but not have a meltdown because you are stuck with a big investment for years. This plaid banner is a perfect way to add a touch of something new, without going whole hog. I used recycled thrift store flannel shirts and pajamas. You could buy new flannel as well, I just like the idea of using something old and keeping it out of the landfill. I used some 2 sided interfacing, aka Wonder Under, to fuse two piece of the plaid flannel together. This made the fabric more stiff and gave it more body for hanging. It also is good to do if you are hanging the banner in a window or across the ceiling where both sides will be seen. I made a cardstock triangle and laid it on the fabric and cut around them. I intended to use my pinking sheers, but they were too dull to cut through the layers. I used double folded bias tape for the ribbon. I am not a pinner when I sew, but I did pin the pennants in the fold of the bias tape and sewed along the length of the tape using a zig-zag stitch. A touch of cozy plaid is perfect for the winter months. The just breathe sign is a leftover from sales and seemed appropriate for the next few busy months. Think about how you can add just small bits of pieces of trends to keep your decor fresh, but you still. Chalkboards, Why Do We Love Them So?